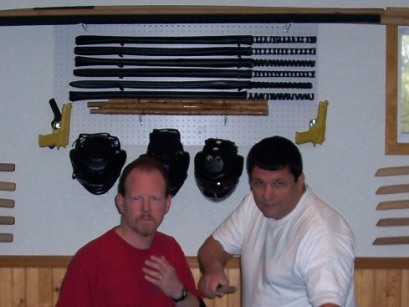 ← School Stabbing In Pennsylvania…..
Topic covered: On Saturday and Sunday we are thrilled to have Rich Parsons teaching his dynamic approach to the Filipino Martial Arts of Modern Arnis and Balintawak. 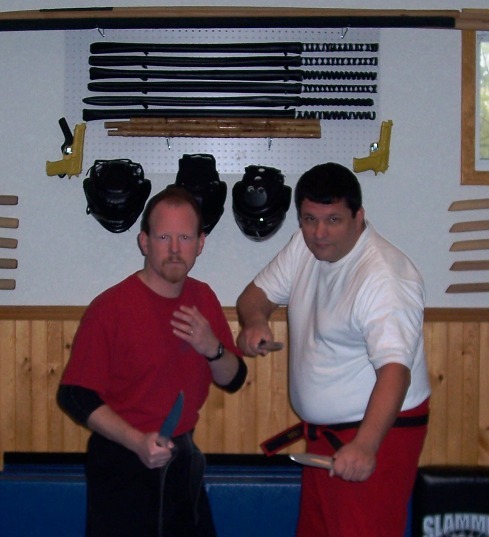 Rich is one of the best instructors in the world and has trained and been a direct student with such luminarees as Professor Remy Presas and Manong Ted Buot. 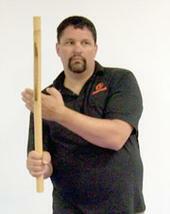 On Saturday Rich will teach first starting at noon covering Balintawak and Modern Arnis principles and techniques. 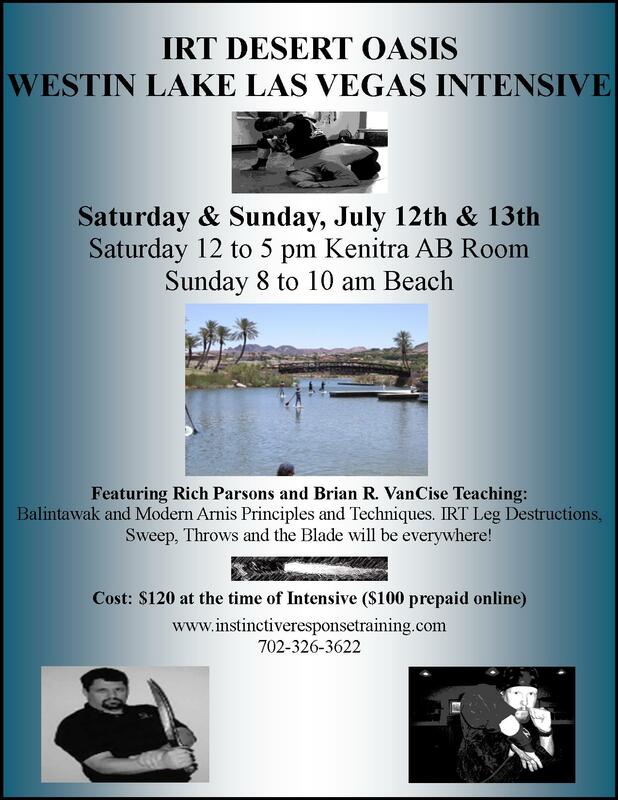 Followed in 2 1/2 hours by Brian R. VanCise teaching a unique look into the IRT Martial System covering brutal leg destructions, sweeps and throws plus the blade will be involved everywhere. Sunday morning on the beach side both Rich and Brian will show a unique look into the difference between the stick and the blade. Those people staying at The Westin will also have the opportunity to kayak, paddle board, swim and enjoy all of the amenities of this scenic, breathtaking desert oasis. Location: In The Westin Meeting Room Kenitra AB on Saturday and at the Beach on Sunday at The Westin at Lake Las Vegas. Participants should stay at The Westin (special room rates will apply mention you are there for the Instinctive Response Training event) Rooms will be $149 US.